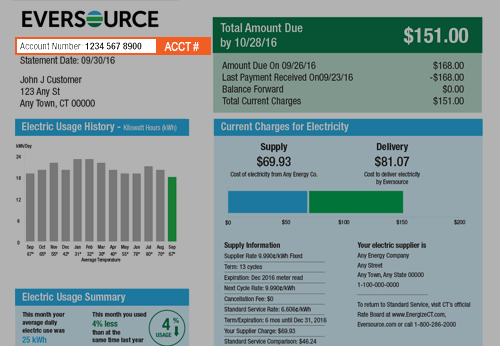 Compare our electric rates to Eversource! Do you have an Eversource New Hampshire account number, service reference number and name key? Please enter your zip code below to view New Hampshire electricity rates for your area. Moving to a new home, or staying at your current address? Do you now have your Eversource New Hampshire account number, service reference number and name key? Enter your email below and we'll walk you through the steps to become a Direct Energy customer. *New Hampshire electric suppliers require a service number from Eversource New Hampshire before you can sign up for electricity with Direct Energy. This is a mock bill. Highlighted below is where your account information will be located. Energy choice is yours with Direct Energy! But don't waste too much time comparing NH electricity prices when you should be enjoying your day somewhere like Lake Winnipesaukee or Mount Washington! We'll make it easy for you with our electric rates for your New Hampshire home. You no longer need to rely on energy suppliers in New Hampshire like Eversource. Love exploring Franconia Notch State Park? Try exploring what Direct Energy has to offer: plans that fit every New Hampshire lifestyle. Choose from many competitive NH electricity rates, giving you the energy security you deserve instead of prices that change with the passing of seasons. 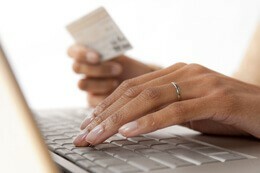 You'll love knowing exactly what energy rate you'll pay on each electricity bill. Your home is your most valued investment and Direct Energy is here to be more than other NH electric companies. When it's time for maintenance or repairs, you need knowledgeable and experienced professionals. We've assembled a team of highly-trained plumbers, electricians, and A/C technicians in New Hampshire to maintain your plumbing, wiring, climate control and more. Direct Energy's Home Protection Plans give you regular maintenance of your home's equipment and appliances so problems are prevented before they occur. Plus, 24/7 emergency service is available if something does go wrong. 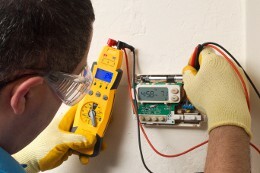 Don't wait for a plumbing, HVAC, or electrical emergency to find a repair professional you can trust. You can take control of your New Hampshire energy choice and your energy usage. With our Online Account Manager, not only can you view and pay your bill online, but you can also view a detailed analysis of your energy usage and receive tips on what you can do to reduce your bill. Learn more! Don't suffer through the heat because of an HVAC breakdown. Call on Direct Energy's air conditioning experts in New Hampshire for the home services you need to keep your system in good working order. Thanks to the deregulated electricity market in New Hampshire, you now have the opportunity to choose the electricity supplier you want, instead of being limited to utility companies like Eversource. Find the perfect electricity plan for your family by checking out Direct Energy's variety of NH energy rates for your home and budget! Every year, we commit to support and recognize the people and organizations making a positive impact in our communities. By supporting these incredible organizations and individuals, we hope to empower our communities to continue to strive for social change. We also support Children's Miracle Network and Child Advocates and the important work they do in our community. Let's Get Social, New Hampshire! Join us on Facebook, Twitter, Instagram, Pinterest, YouTube, and LinkedIn to stay in-the-know about important customer updates, industry news, weather information that may affect your area, and helpful hints about energy efficiency. Be on the lookout for special promotions and games on our page too - we're always on, and never boring! We're offering special electric rate discounts to members of the military community in NH! You'll get an exclusive discount, a locked-in fixed rate for electricity, and more. It's our way of expressing our thanks for your service.